1. 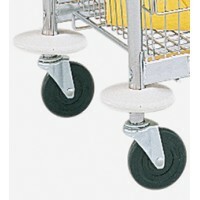 Molded on Rubber Casters and Wheels. "Our Most Popular Style". Easily rolls over most surfaces. 2. Air Casters and Wheels. Designed for the roughest of surfaces outdoors and over uneven factory floors. This mail delivery cart is ideal for large mail centers and warehouse order picking, it takes the work out of heavy moving around your company. 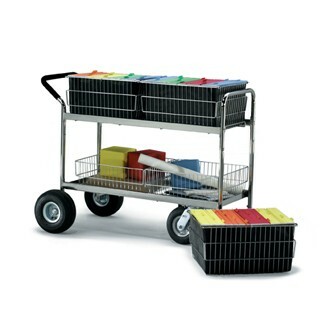 Features 10" rear tires and 8" front casters to gives this mail carts extra capacity for heavy loads. 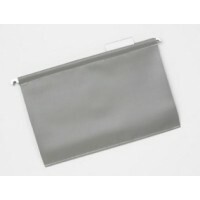 Upper mail basket height adjusts from 32-3/4 " to 37-1/4" for less bending. 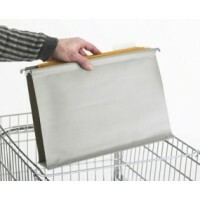 Each mail basket is light weight, but still rugged enough to take on any filing job. Order extra baskets for sorting mail while cart is in use - see model 207TB, top file basket or model 1350B for lower parcel basket. This cart Includes our exclusive padded handle grip for easier and better maneuvering. • Sturdy steel frames for lasting durability even when fully loaded over rough and uneven terrain.